It was announce that CW4Kids will start running Dragon Ball Z Kai this fall; which to you and I would be remember as "Kids WB." 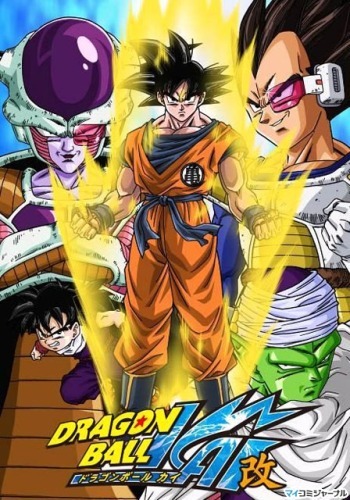 DBZK is an attempt to remaster and condense the original 291 episodes of the original 9 season show to about 100 episodes, and allow the show to more closely follow the pace of the original manga. Part of me should probably envy kids these days... They get to watch the whole saga again fresh like I did, sans filler, and power up episodes. At the same time I feel for them. For me the filler was a right of passage. When I finally finished episode 276 (The Funi dub actually had less filler than the original), it truly felt like like an accomplishment. I'd diligently watched for three years at that point, watching and re-watching, keeping track of schedules and rumors; always waiting with baited breath for CN to announce a new schedule.